Sherpa's latest, sporty design has been customized to insure compliance with Delta Airlines flight requirements as well as those of other airlines.A quality carrier, the Sherpa Delta bag will provide the utmost of security for your pet and last you a lifetime with proper care. Plenty of ventilation so that your pet travels comfortably and securely. This pet carrier will qualify for the Sherpa Guaranteed On Board Program. For pet travelers flying on American, Continental, Delta, AirTran, Southwest, and Northwest Airines, this is a great program that will guarantee that your pet will be able to board the cabin of the aircraft as long as your Sherpa pet carrier is the appropriate size for your pet. Even if your pet is not traveling on any of the airlines previously mentioned, this pet carrier is airline compliant and should fit under the seat in front of you. As it is a flexible carrier, it affords the possibility of fitting in a space that is less than the 10.5" height of the carrier. 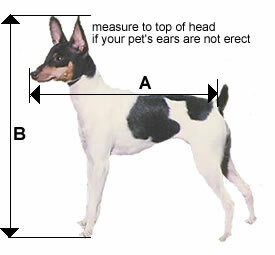 See chart below for measuring your pet. Due to State Health Laws, we will not accept the return of any Sherpa bag after a pet has been inside the bag – No exceptions. If your pet has not been inside the carrier, it may be returned for exchange as a sale item. Click here for current airline pet policies. We would also suggest that you consider protecting your carrier with a quality pet pad - click here. You guys were great! Love the carrier.